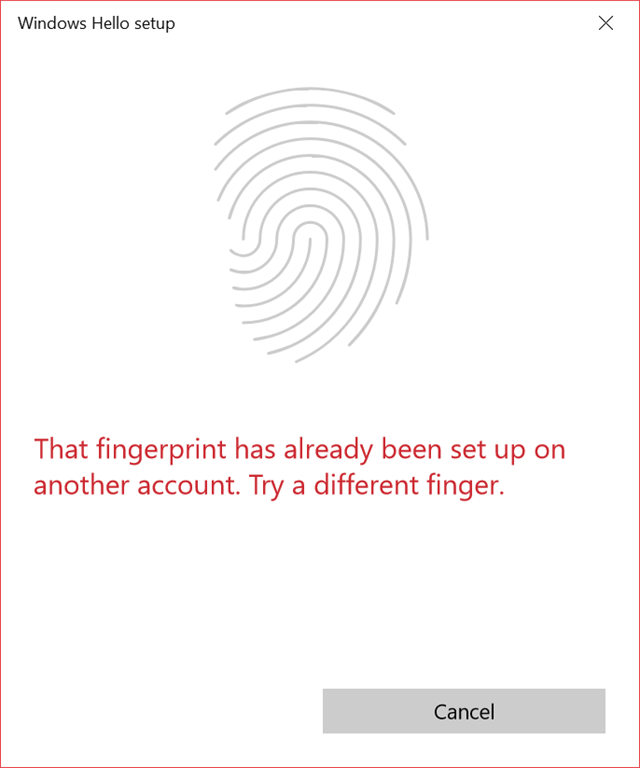 The question is how do we delete the registered fingerprint(s ) with different unused account. It is easy as 20 second task. Here is how you do it. 2. Open folder location in file explorer: C:\Windows\System32\WinBioDatabase\. On this location, there will GUID.dat files. Find the one with date you recognized you register the fingerprint. If not, just delete all DAT files. 3. Start the service Windows BioMetric Service again. There was no reboot required on my case. Try registering your fingerprint now. Enjoy. That is weird. It should create a new Dat file. Try renaming the existing GUID.dat file. Hope that will show what might be happening. This is amazing! Fixed my facial recognition issue using the method above after my face got lost on another account I deleted. You ROCK. For people having trouble, you might need to delete the other account as well? No idea if it’s related, but I had already deleted the old account, and the legacy bio local files were all that was left for me. Here actually problem. I can’t find any other older account to delete.